It is always a good idea to try to grasp local language while visiting other countries. Learning Polish words and phrases will definitely come in handy in every-day situations during your stay in Poland. Getting to know some Polish phrases is also a nice souvenir from holidays in Poland. Polish is the first language for 97% of Poles, making Poland the most linguistically homogeneous country in Europe. With over 38 million native Polish-speakers, it is well worth to learn at least a few useful common Polish phrases. If you try to speak Polish while on holidays in Poland, it will most certainly be much appreciated by everyone, no matter how many mistakes you make! Polish is also spoken by 55 million people around the world, mostly the descendants of Polish immigrants in the USA, Canada, Israel, the United Kingdom, Brazil, Australia. Polish language can also be heard in central Lithuania, western parts of Belarus and Ukraine, and in the north of the Czech Republic and Slovakia, as a result of historic traces. There are slight variations of Polish language in the country that can be generally distinguished by regions, but overall the same, “standard” Polish is used everywhere. Although native Poles would be able to point out differences between for example Polish-speakers from the East and the South, those variations would not be identifiable for foreigners. Polish language belongs to the group of West Slavic languages. Polish pronunciation varies a lot from for example Czech or Slovak languages, also belonging to the same language group. 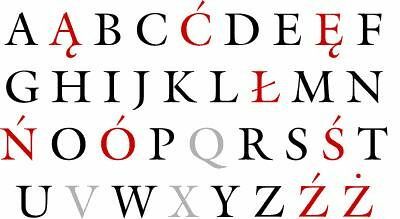 Polish is considered harder in pronunciation and has nine additional letters to Latin alphabet. Two of them, ą and ę, are nasal vowels uncommon in other Slavic languages. There are also fricative and affricate consonants (sz, rz, dż, ci, etc.) that prove the roughness of Polish language. They will probably be the most problematic to foreigners. Other sounds, spelled with letters like b, p, t, k, m, n have similar pronunciation as in other European languages. What might make it easier to learn Polish words is the fact that Polish pronunciation is rather regular. There is a consistent correspondence between letters and sounds (so c will always be pronounced the same, unlike English c, which is sometimes pronounced as Polish k). Below there is a table with useful tips on how to pronounce Polish vowels and consonants. Consonants b, d, f, h, k, l, m, n, p, t, z are pronounced as you would expect them to be. To perfect your Polish pronunciation of other consonants, make use of the table below. The curiosities of Polish language will prove difficult, especially for native English speakers. You will definitely come across the funny looking letters, like ą, ę, ó, ż, ź, ć, ś, but do not worry! The rules of Polish pronunciation are easy and you will be able to get it right even if you have never heard the word before. 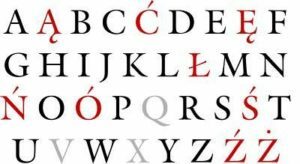 Because of nine additional letters in the alphabet and the existence of fricative and affricate consonants, Polish orthography is a whole different world. There are rules of how and when a certain letter or digraph must be used, but let’s not get ahead or ourselves! For the purpose of learning basic Polish phrases, there is no need to go deep into the difficult subject of Polish orthography. I speak Polish – What’s your superpower? What foreign visitors in Poland should keep in mind, is that in Polish language there are two words used when speaking with someone you do not know, or in formal situations. Instead of addressing someone directly (e.g. do you know), you should use the term Pan (male), Pani (female), Panowie (male plural), Panie (female plural), Państwo (mixed plural). Those terms should be used for example when asking someone on the street for directions or in a shop for assistance. While younger people probably will not be offended when you address them directly, it is generally more polite to use the above terms. A very important rule to remember is that in most of Polish words and phrases the stress lies on the second last syllable. Now that you have familiarised yourself with our handy guide to Polish pronunciation, let’s learn useful Polish phrases that you can use during your holidays. Using the tips on pronunciation, try to form more complex phrases that might be useful in asking for help. Przepraszam, gdzie jest Bazylika Mariacka? – Excuse me, where is St. Mary’s Basilica? Przepraszam, w którą stronę jest Rynek Główny? – Excuse me, in which direction is the Main Market Square? Przepraszam, gdzie jest wejście? – Excuse me, where is the entrance? Ile to kosztuje? – How much does it cost? Poproszę dwie kawy. – Two coffees, please. As people in Poland are very friendly and helpful, it is probable that you will make a lot of new friends during your stay. Make use of the following phrases to get to know new people. Jak masz na imię? – What is your name? Ile masz lat? – How old are you? Skąd jesteś? – Where do you come from? Miło cię poznać. / Bardzo mi miło. – Nice to meet you. Good luck with your Polish! Do not worry about language errors and try your best!